Our alumni fundraising efforts need a boost, but we don’t have the technical capabilities or staffing flexibility to keep them engaged. There are too many channels to choose from. These are just a couple of the challenges higher education fundraisers face when trying to connect with and drive alumni behavior. At the same time, new marketing channels are constantly evolving. Younger alumni – especially millennials – expect more choices to engage with their alma mater. Simply making the connection isn’t enough. According to Corporate Insight’s 2015 study, Alumni Engagement and Giving1, nearly eight in ten alumni in the United States feel positively about their alma mater. How graduates feel about their school, however, has little impact, as only 22 percent reported donating to their alma mater in the last twelve months. 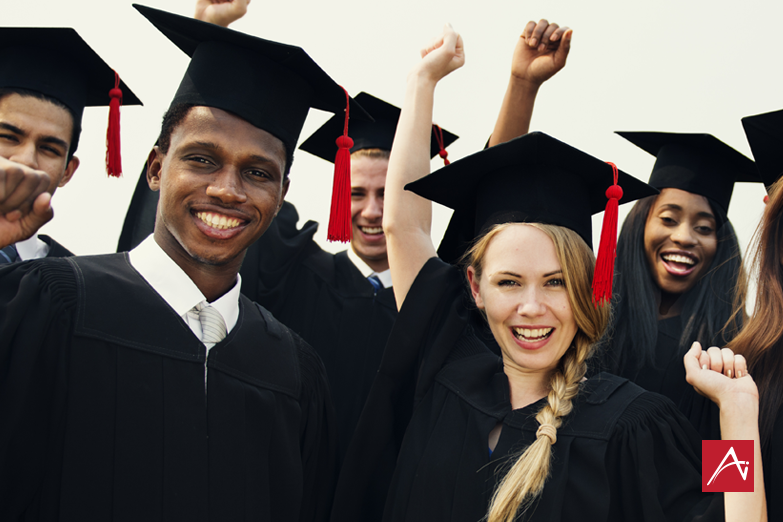 How do higher education fundraisers not only capture graduates’ attention, but move them from connected, happy alumni to active donors? The Corporate Insights survey surmised that colleges and universities need to increase their communications in effective ways to grow engagement and improve alumni fundraising results, making better connections to drive behavior. While this probably isn’t breaking news to higher education fundraisers, determining effective ways to break through and deliver effective messages is increasingly challenging in a marketing environment flooded with channels. The reality is that now more than ever, a truly blended print and digital marketing strategy is required, using a mix of new and traditional channels to achieve desired results. Stick with print and direct mail – they do work! Studies show that printed direct mail elicits greater brand recognition with a higher sense of trust than digital advertising and marketing. Overall, direct mail provides a strong 27 percent return on investment with a 5.3 percent response rate for house lists3, which coupled with recognition and trust factors, makes it an effective way to reach alumni of all generations. For years, a divide between email and direct mail existed, with some proponents of email declaring direct mail was dead. However, a funny thing happened along the way. The massive increase in email marketing overwhelmed inboxes, limiting its efficacy. How many times have you opened your email, only to see so many messages that you didn’t want to bother? Or, you identified select messages to go back to but, as life happens, you never do? However, email plays a role in alumni fundraising campaigns. Email has a lower cost, making it easier and more cost-effective to conduct A/B Testing while providing instantaneous reporting and metrics. Much like direct mail, if you plan your email campaign with baseline metrics and ROI expectations, you have an increased likelihood of success. With so many options at your fingertips, and plenty of evidence supporting their use in alumni fundraising, it’s time to leverage the strengths of print and digital communications in your strategy. Two great methods for uniting print and digital are including personalized URLs (PURLs) on direct mail pieces sent to alumni and directing them to a personalized landing page or digital view book, and using print mailers as a follow-up to email click-throughs that did not convert. Allowing print and digital to work together, rather than in silos, increases your capabilities to consistently connect with alumni, and you can use the results to plan future campaigns. The 2016 DMA Response Rate Report.